Before I get on with this post I have a book spoiler alert. Copies of my new book Tactical Fly Fishing: Lessons Learned from Competition for All Anglers have shipped. I should have autographed copies of them available on our site by the middle of next week. I've had a lot of questions about what my rigs were in NZ. I'll be talking specifically about how I used them in a future post with Gink and Gasoline. In this post, I'll provide the recipes for the rigs I used while I was in NZ last month. 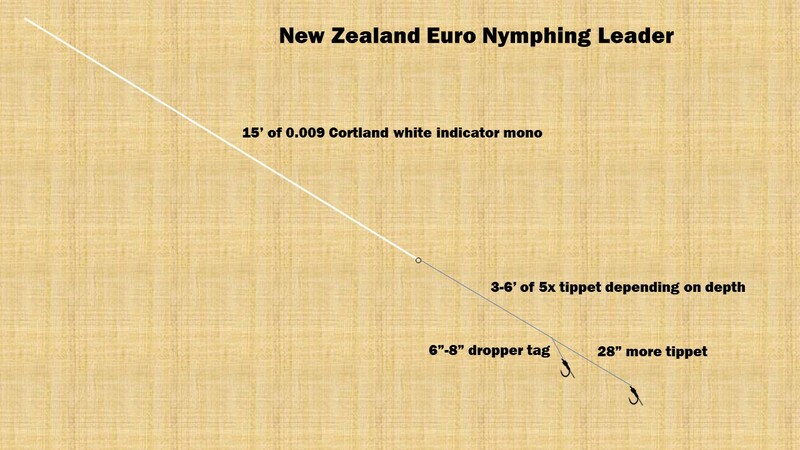 I've been asked whether I Euro-nymphed in NZ. The answer is yes but only in instances where I deemed a fish more approachable because of the water type it was in. The formula for my Euro-nymphing leader was pretty simple as you can see below. I used white Cortland Indicator Mono to reduce the likelihood of spooking fish. I also always crept into position quartering downstream from each trout I fished to with this rig. The cool part was there wasn't a fish I targeted this way that I didn't catch. For the rest of my fishing I used one workhorse leader. It is built using a mix of formulas and ideas from Spanish and French competitors. This leader allowed me to swap between single dry, dry dropper, naked nymph (nymphs with no indicator), and a yarn indicator nymph rig. By adding a tag into the tippet section I could add or substract a dry fly or nymph to suit the conditions for each fish I encountered. This leader is fairly easy to cast with a single dry fly despite its 18-20' length and long tippet. 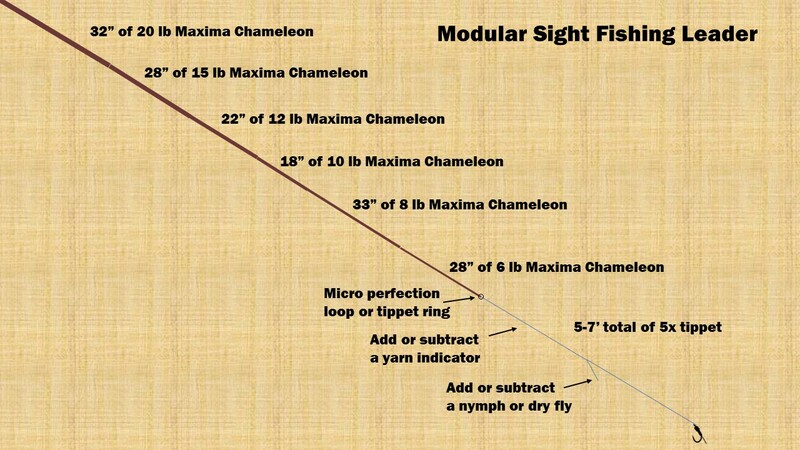 However, it takes practice to cast when tungsten nymphs are added to the rig. It's easiest to dump a bit of line downstream and then do a water load into a false cast to get the rig started. Once there is 15-20' of line out the rod tip it isn't too hard to handle if you are a solid caster. You can always shorten the leader to make it easier to cast but its length provides the delicacy that makes it so effective in spooky situations. Happy fishing everyone. I'll be back with more about my book next week before I head to the Fly Fishing Show in Edison, NJ.